H&A My Design wants explore your idea of luxury and style as we design your Calabasas bathroom remodel together. Contact our bathroom remodel designers and they will show you all the things you can do together. Let’s start with all the ideas you have so far. It isn’t surprising that most people want to change the floor layout first. If that isn’t right, remodeling using the same floor plan won’t fix what you don’t like about it. Part of this relocating plumbing and electrical. You can have a new bathroom floor plan. We have the skills and expertise to make your remodel exactly what you want. Why settle? In Calabasas, bathroom remodeling is the most popular home remodeling project. H&A My Design will show you the latest bathroom designs available. We’ll make sure you get all the luxury fixtures for you Calabasas luxury bathroom. H&A My Design gets you exactly you have been dreaming about. Do you want to see how affordable luxury spas are? We’ll lead you through all the fine points. Whichever design style you choose, H&A My Design custom builds it into your luxury bathroom. H&A My Design keeps your remodeling straightforward. We are responsible for the complete project and you don’t have to deal with sub-contractors. Our crews in Calabasas bathroom remodeling build any detail you want included. H&A My Design reputation for happy customers is why we are the bathroom remodeling contractor you want to call. Our bathroom remodeling designers add detail that make your luxury bathroom special. Small details are the finishing touches that truly make the design your own. Our designers will give you a complete design and you get to choose from all the added extras that are available today. Let’s get started, call H&A My Design. Our designers are happy to sit and discuss bathroom remodeling with you. Remember, the best design showcases your ideas. Our designers work with you and together we’ll deliver your dream spa. H&A My Design is the contractor to call because we make the most out of your bathroom space. Working together, we’ll choose the perfect vanity, sink, and hardware for your design ideas. We want to make your bathroom remodel eye-catching. Relax at the end of the day in a spa-like atmosphere. H&A My Design wants your spa-bath design for bathroom remodeling to be the envy of Calabasas. We want your design to be all about what relaxes you. Your new bath will be your private refuge from stress and worry. Designing a luxury bathroom is a fun experience and should showcase your dreams. With over 25 years of design knowledge to draw on, H&A My Design make your dream happen. You’ll be glad you called us. Call H&A My Design and talk to our designers when you are ready to make your bathroom remodel ideas a reality. 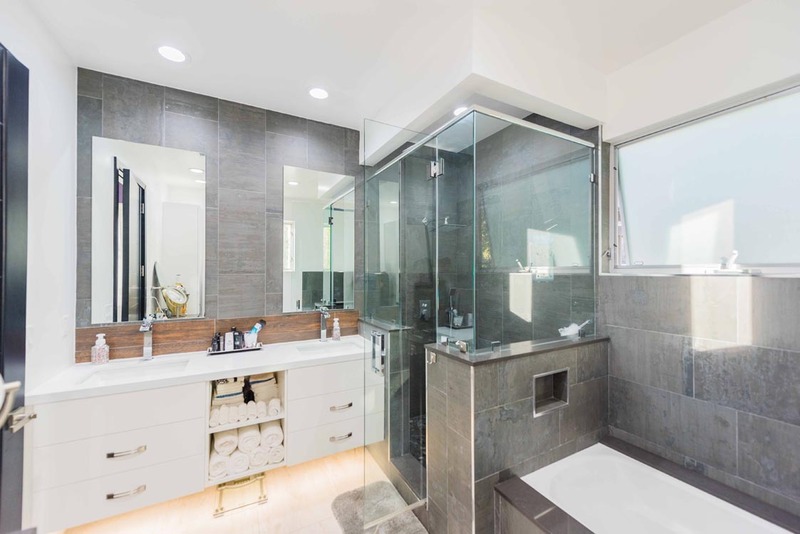 For excellence in bathroom remodeling in Calabasas, call H&A My Design. Sit down with one of our designers. We’ll make you happy that you called.